I'm Here. I'm Queer. What the Hell do I read? 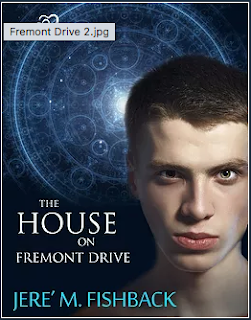 : The House On Fremont Drive - Nate's A Gay Teen. With A Ghost Above His Room. A Boyfriend. And Parents Who Don't Have A Clue. The House On Fremont Drive - Nate's A Gay Teen. With A Ghost Above His Room. A Boyfriend. And Parents Who Don't Have A Clue. Eighteen year-old Nate Ziegler has problems. A dead boy's ghost dwells in the crawl space above Nate's walk-in closet; the ghost won't leave Nate alone. Nate's cross-country teammate is an astrology freak; he wants to recruit Nate as his disciple. Nate's new boyfriend is an emotional mess; he's a victim of physical and psychological abuse. And Nate's parents don't even know Nate is gay. How will he deal with it all? Add your review of "The House on Fremont Drive" in comments! Timekeeper - Steampunk YA With A Gay Romance!